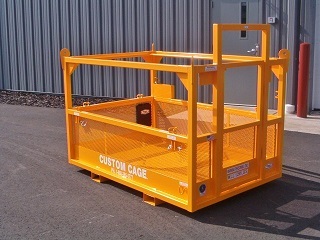 M-301S Custom Cage Manbasket 30" x 30" x 44" 300 lbs. 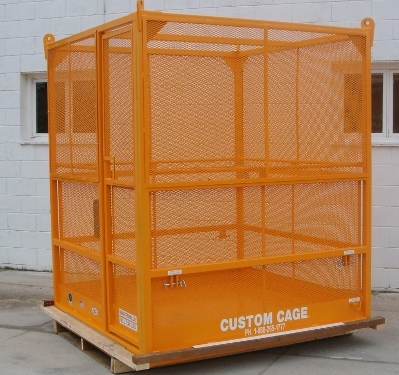 W.L.L. 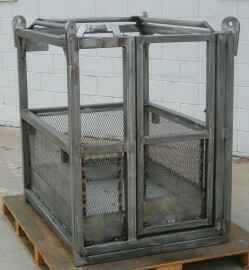 M-301 Custom Cage Manbasket / Man Basket 30" x 30" x 86" 300 lbs. 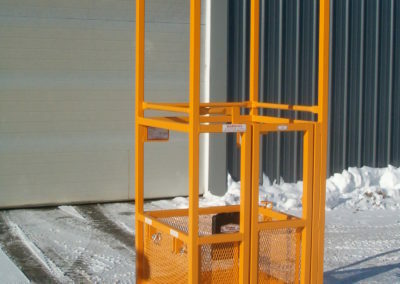 W.L.L. 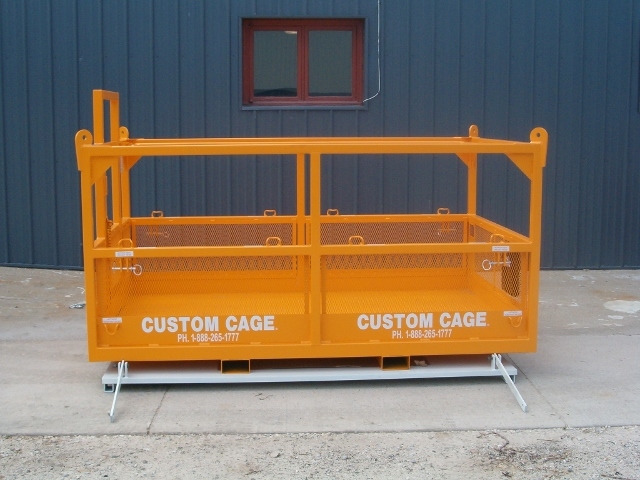 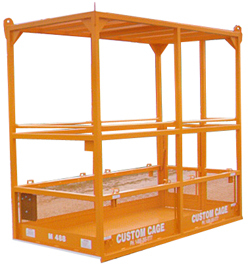 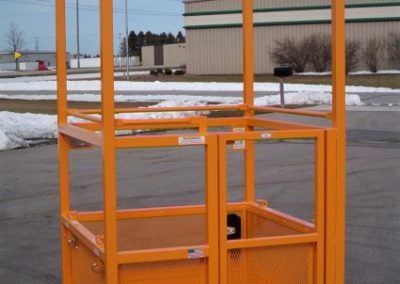 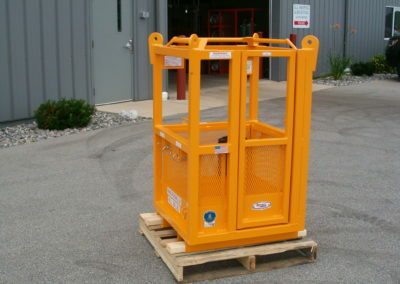 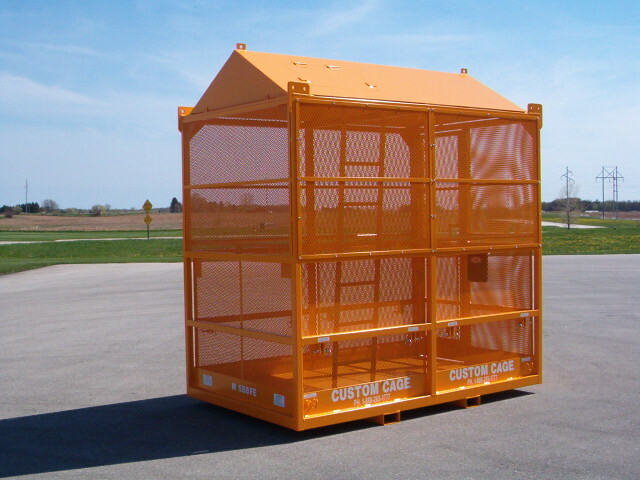 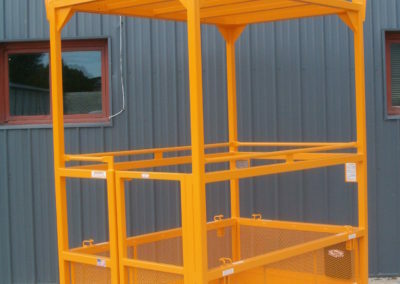 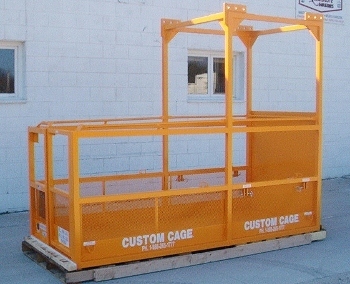 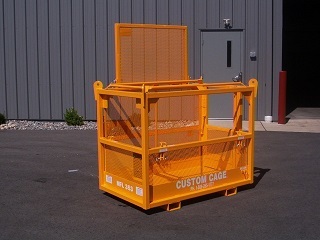 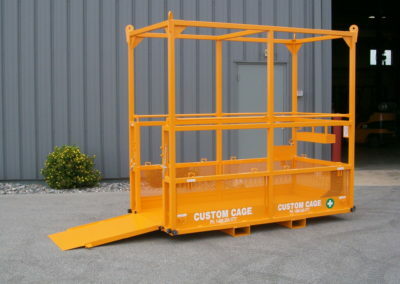 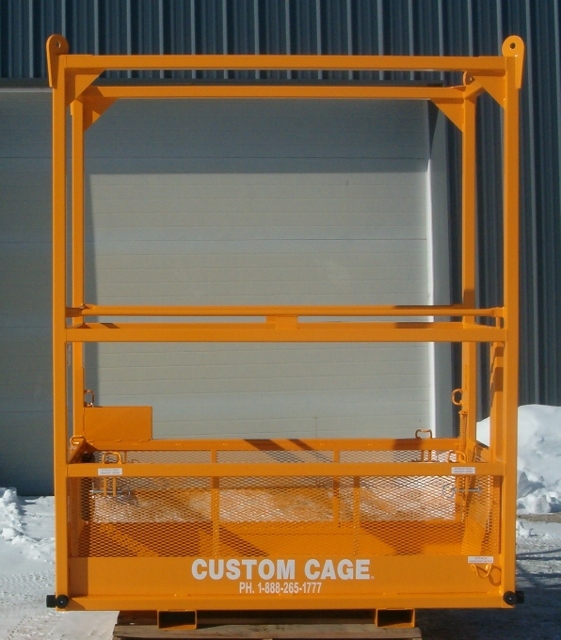 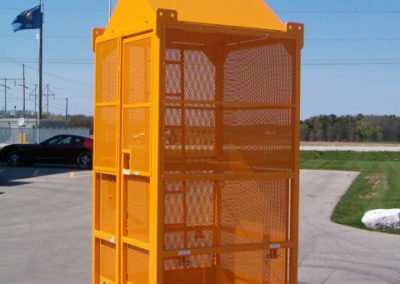 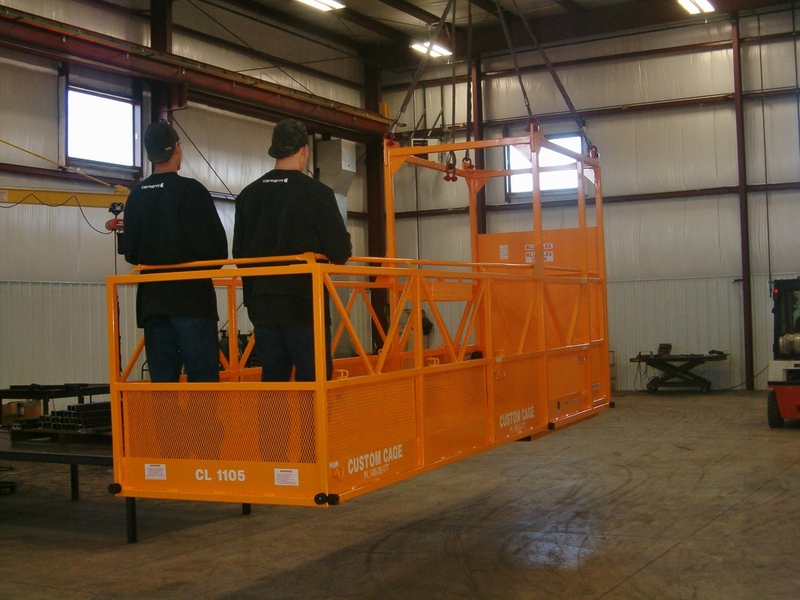 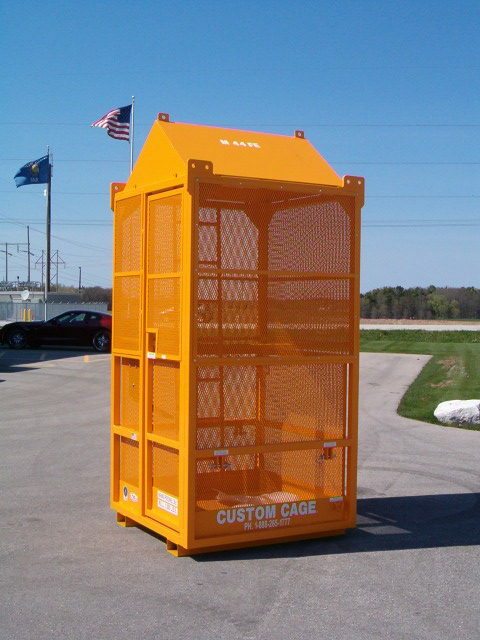 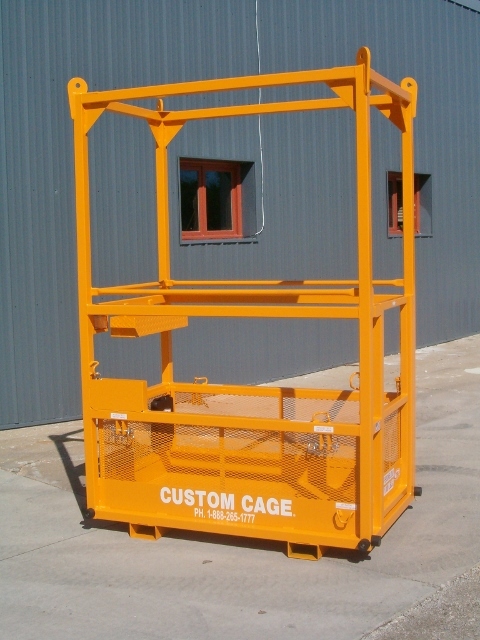 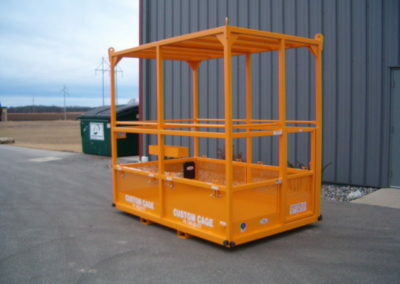 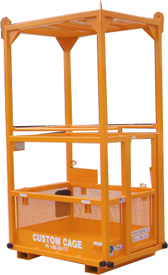 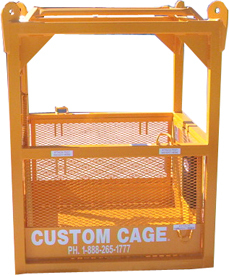 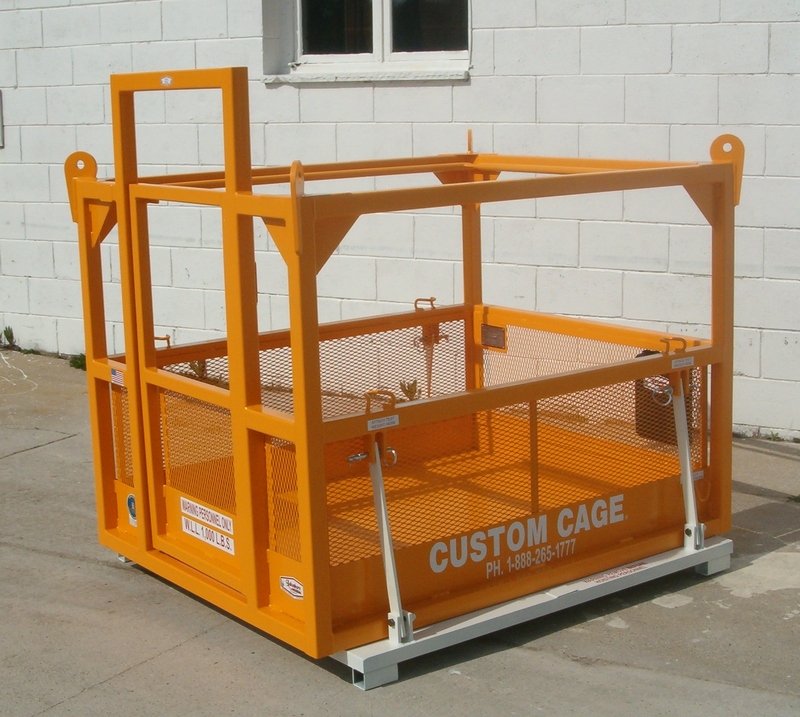 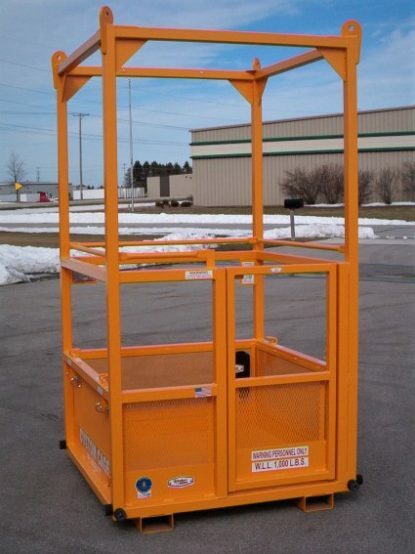 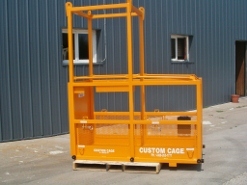 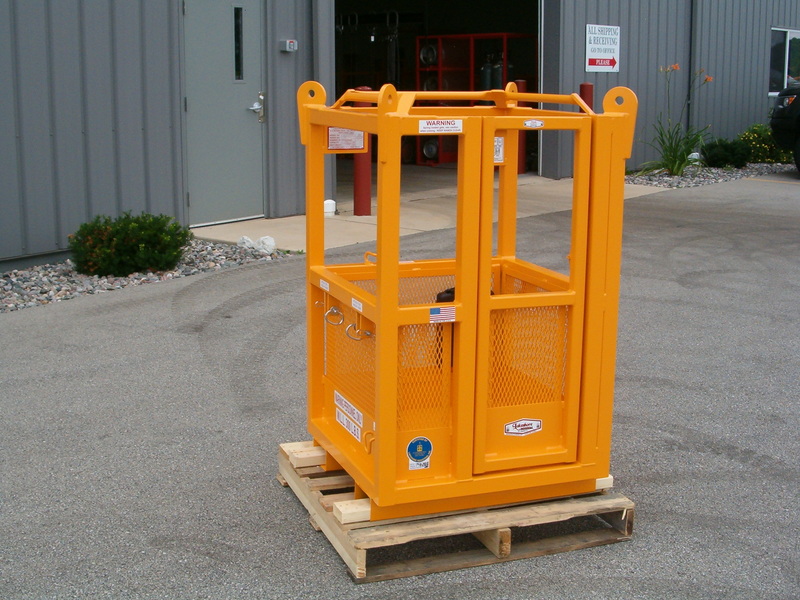 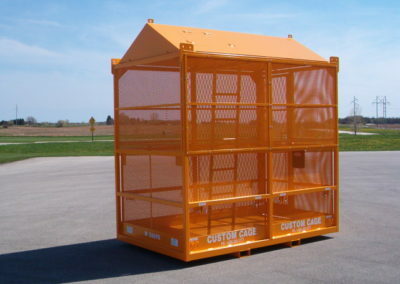 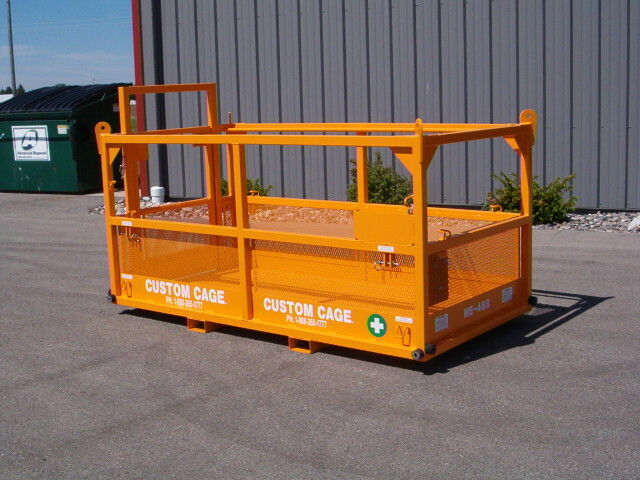 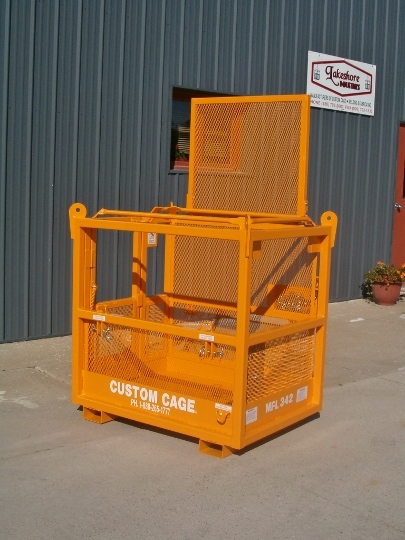 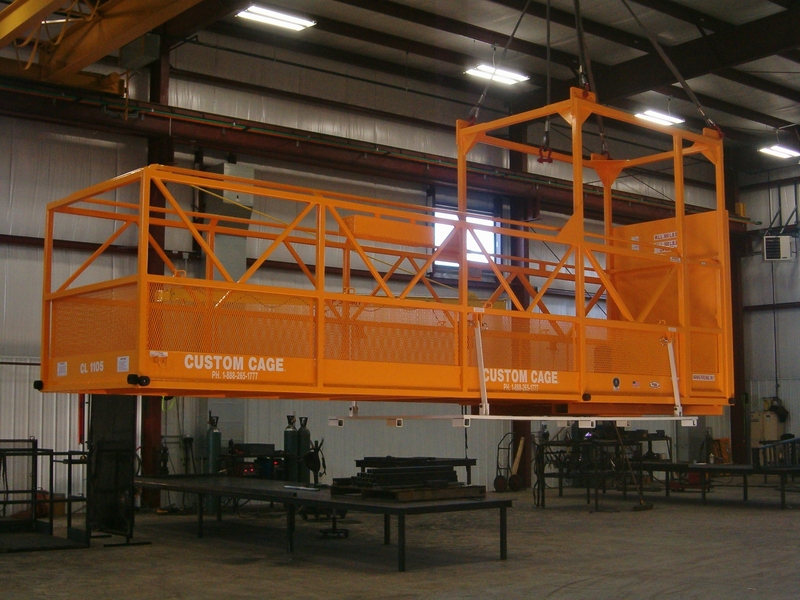 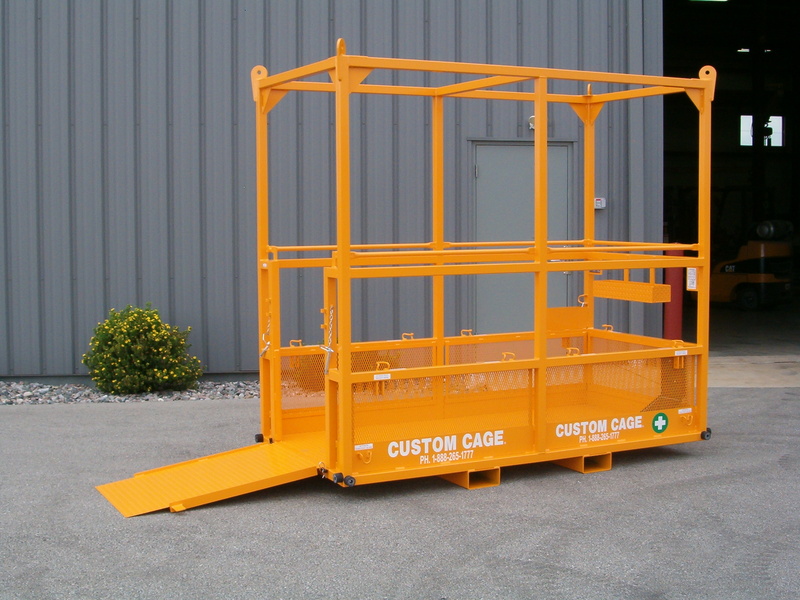 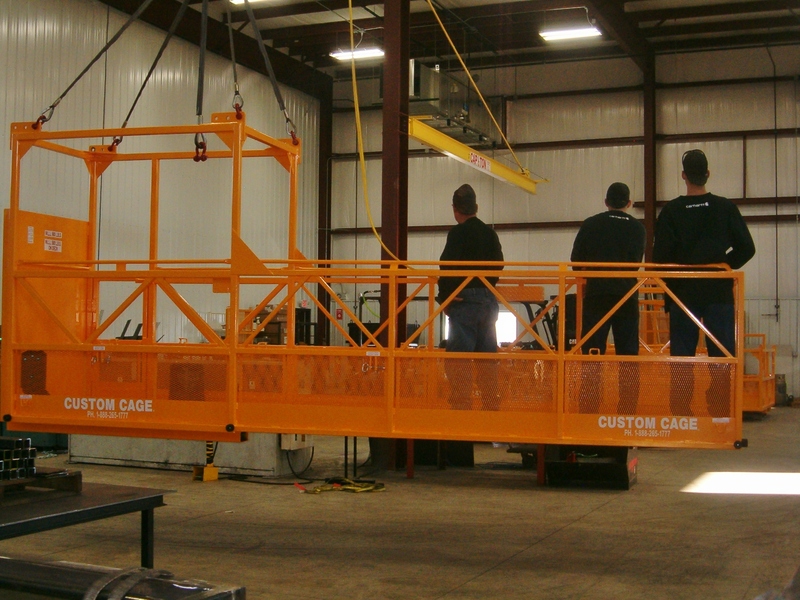 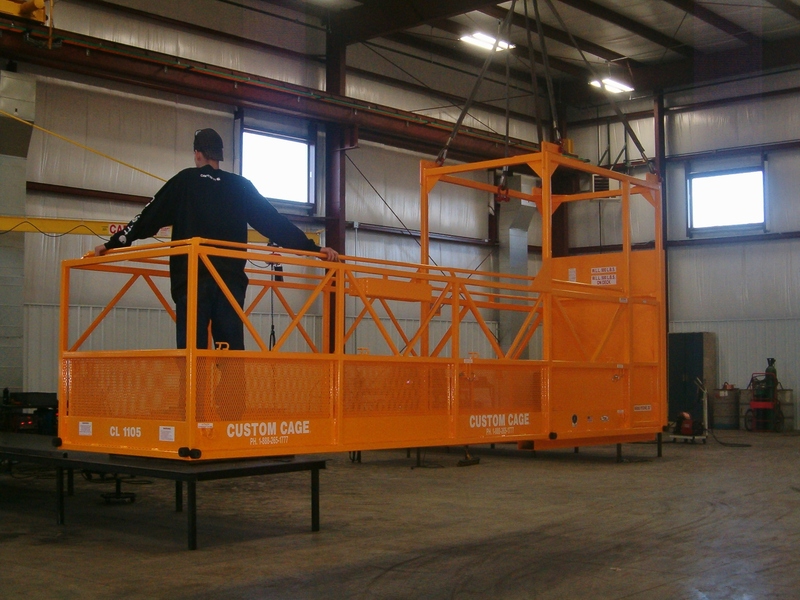 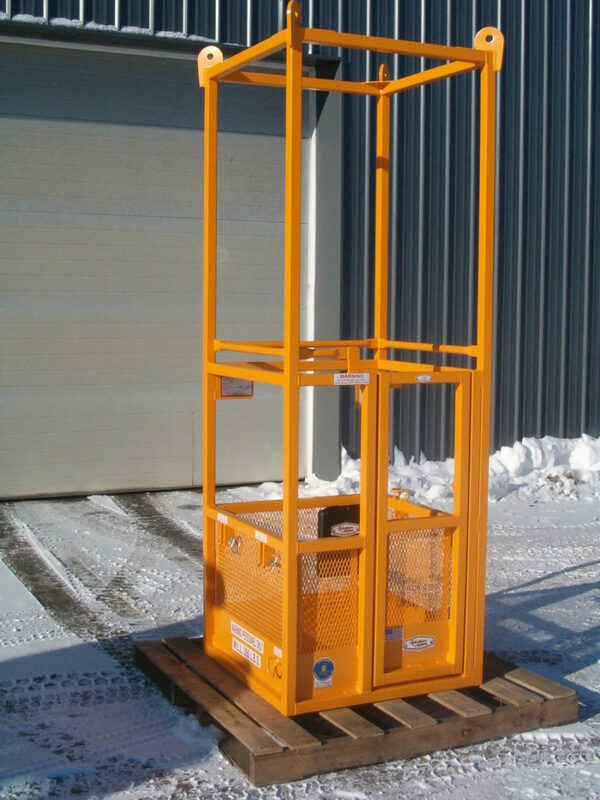 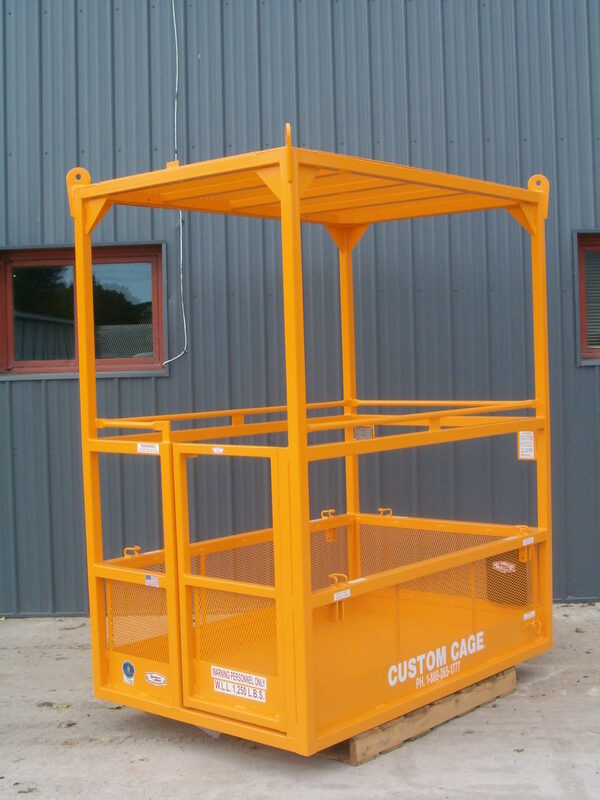 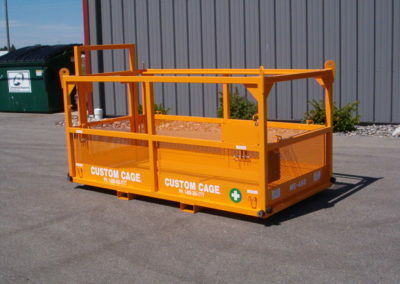 M-44 Custom Cage Manbasket 48" x 48" x 86" 1,000 lbs. 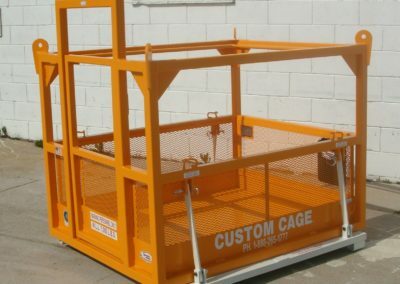 W.L.L. 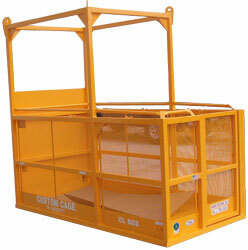 Med-E-Vac Rescue Platform / Manbasket ME-488 48" x 96" x 44" W.L.L. 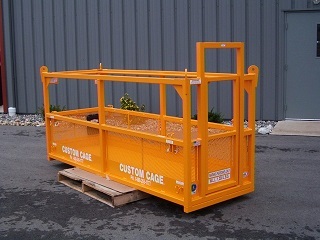 1,000 lbs., shown with optional rubber corner bumpers. 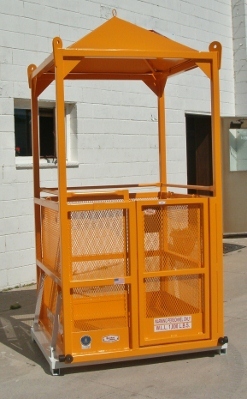 Used to safely rescue injured workers on jobsite.